Racing or Running? – Think…Feel…Be….BodyWise! What is your intention? Your intention for the day makes all the difference to how you will rate the finish line at day’s end. 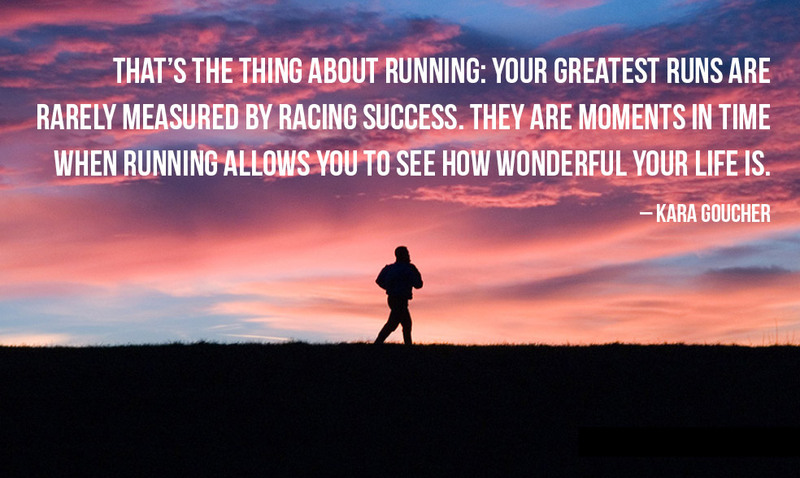 Will you race through your day? Or will you run through it? By definition, a race is a competition or contest in which there will be a winner with many runners’ up. Likewise, a run indicates quick forward momentum, when for a short moment, both feet are off the ground. So what is your intention for the day? Will you treat it like a race and gut out your day, heaving with great sighs of breathing and straining with an intensity and focus that tramples every obstacle in your path? Or will you instead lace up for your day with careful pacing of your energies and metered awareness of the passing moments so as to accomplish those chores and duties you encounter through the day. Racing through your days can wear you down and leave you feeling defeated if you don’t finish the day ahead of your to-do list. However, if we can run through our days with attention to our pacing and purpose, then we may accomplish what is most needful for today and be satisfied with no more or no less.